Provender has finally opened its doors to Blackheath. 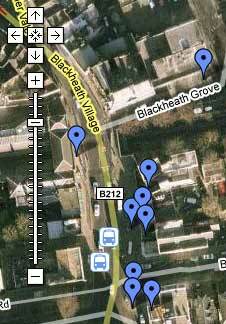 I went in there the other day for a snoop around. 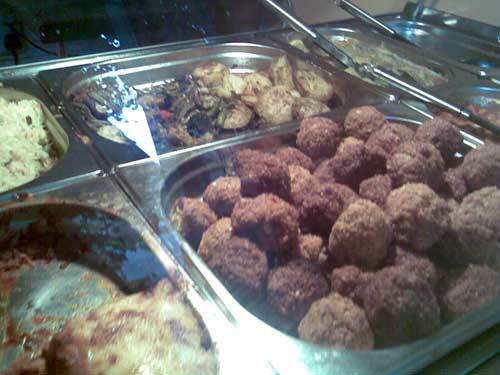 To be honest, I don’t think it was a very fair test, as I popped in a bit late, so all the food was looking a bit tired. I had a coffee and a very nice piece of baklava for £2.80. Not cheap, but not horrendous. Both were good. The trouble is, there’s almost nowhere to sit – they’ve put the serving trolley thingy right up at the front of the shop, so there are only two stools looking out through the window, and a small table outside. The food itself looked along the lines of the Indian Lentil Daal kind of veggie variety, not the 1970s Woody Allen movie variety I’d been hoping for (a la Food for Thought)… Having said that, I didn’t try it, and so will make it a mission to go and give it a proper assessment soon. Have a look, and let me know what you make of it.. It’s up near O’Neil’s. Now look here… I realise that First Choice Travel was no cultural mecca. Melvyn Bragg and Mark Lawson were not hot-footing down Tranquil Vale to come and admire it or anything. 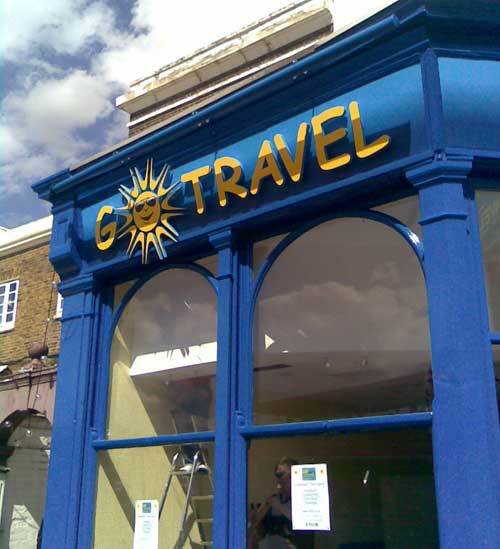 But really, Go Travel isn’t doing a lot for taste and subtle design in Blackheath is it?